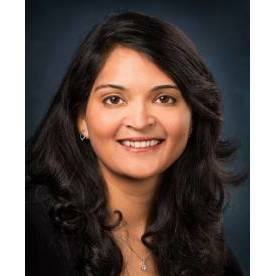 Namita Kothari, MD, is board certified and a Fellow of the American Congress of Obstetricians and Gynecologists. Since 2006, she has been practicing and serving women in the East Valley. Dr. Kothari is a certified da Vinci® robotic surgeon with extensive experience in performing laparoscopic surgeries. She thoroughly enjoys being part of her patients’ journey of bringing new life into this world and is committed to providing the best care possible. Dr. Kothari has been the recipient of the Patients’ Choice Award and Compassionate Doctor Recognition. In her spare time, she enjoys traveling with her two sons and quality family time.